Properties in Baywood Chase average 4.7 out of 5 stars. 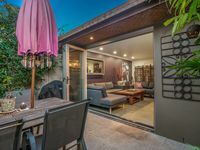 Property 5: Byron Bay family home with everything - Great deal! Property 49: A Perfect Stay – Aloha Ohana - Aloha spirit! The house is modern and complete. Full kitchen. Wassing machine and dryer. Shops and beach in 5 min. Would highly recommend this house and its host. Gabriel was so friendly and welcoming and shared local knowledge of the area with us. The house itself was just perfect for our family of 6, plus our pet dog. 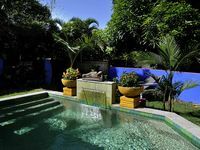 The kids loved the beautiful outdoor space and the pool. The house is easy walking distance to the local shops and also dog beach which made for some fun times. It is only a short drive to Byron itself, which is just the most beautiful place to spend the Christmas holidays. We can't wait to come and stay again.